Baby sleep. It’s THE WORST, right? Is it driving you to a breaking point? Is it overtaking your life? Ohhh…I can relate. Like REALLY relate. But we finally found something to help. I waited WAY too long to take action. Once I did, this simple, natural chest rub truly changed everything for us. It speaks for itself here. Keep reading for the details on how this amazing stuff changed our life and can help you too! Around 4 months into being a brand new (exhausted) mama, my son still wasn’t sleeping through the night. I thought that was rough…then things got really ugly. He started waking from naps after only sleeping for 20 minutes. Night wakings increased and he wasn’t anywhere near being on a schedule, despite my constant efforts. Every single attempt at helping him sleep turned into a battle. We tried every sleep training method we could find with no sign of improvement. Everything we did to help our baby sleep just seemed to make him mad. 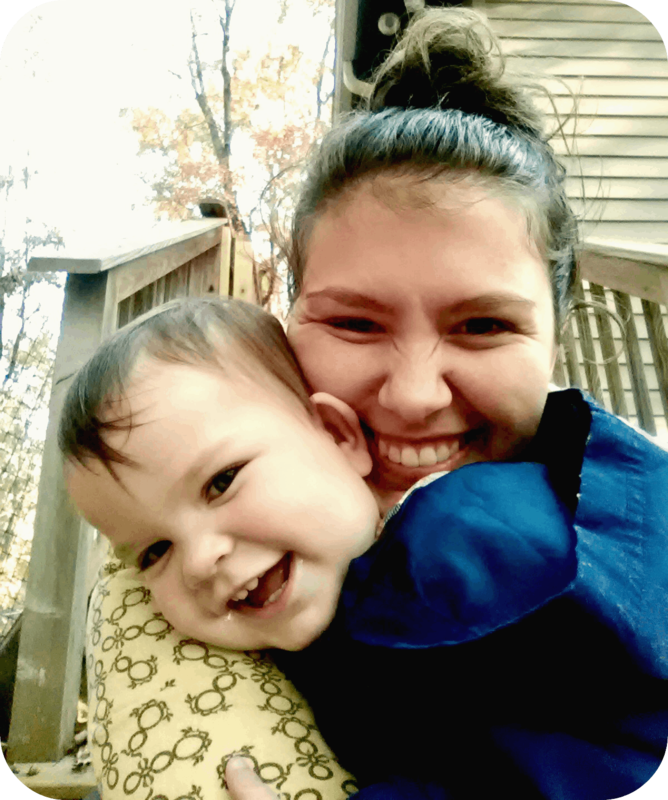 We rocked him until our arms went numb, tiptoed at the slowest pace imaginable to his crib, lowered him like a live wire bomb, and slid our hand away at snail speed while praying earnestly that he wouldn’t wake up. Most of the time he did…at least by the time we inched to the door and silently pulled the padding-covered latch closed. Back to the crib, patting and hushing until our backs ached, eventually repeating the entire process. This was every nap during the day and multiple times throughout the night…for almost A YEAR. We were frustrated, confused, and completely exhausted. 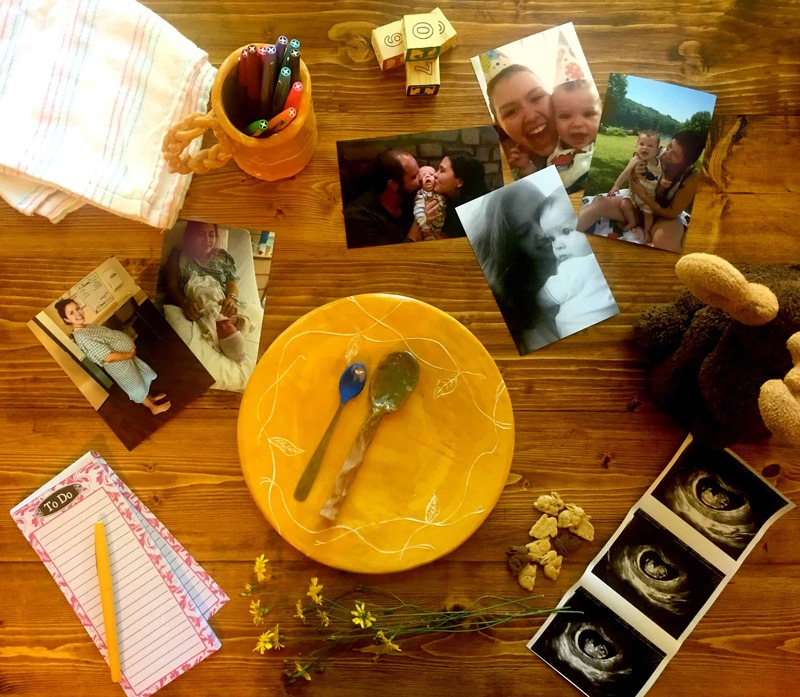 We felt like we were being held hostage in our own home by our own beloved baby. I spent many of those sleepless hours holding him so at least HE would get some kind of sleep. Staring at my dimly-lit phone screen I researched ANY help I could find. I still remember the night I stumbled upon it. The solution that, little did I know, would solve our baby’s sleep problems. It was some kind of balm that you could rub on baby’s chest or feet and it supposedly helped them sleep. I didn’t want to put money into some product on the off-chance that this time something would actually help. I wanted to KNOW it would help. The next night, I looked into it again. I started reading Facebook reviews and thought, “Huh…It sounds like a lot of these people went through similar situations…and this stuff helped…a lot.” Since I’d be sitting holding my finally-asleep baby for another hour or so, I just continued reading on my phone. I probably read every single review on their website, plus countless Facebook reviews. Based on the success stories of real parents, I started to feel hopeful. The next day I talked to my husband and we decided it was worth a shot. I mean, we couldn’t keep going the way things were. “If I could BUY sleep for my baby, I totally would.”? Well, I was at that point. We decided to invest in our baby’s sleep. And I gotta tell ya…we have no regrets. Guys…this stuff changed our life. That might sound dramatic, but after living through an out-of-control waking nightmare for 11 months, something life-changing is exactly what we needed. And if you’ve been sleep-deprived for long, I’m betting you know what I mean. Within a week or so of putting this rub on our son at bedtime, he started to fight sleep less. Then less and less. It was SUCH a sweet relief to be able to cuddle with him before bed without him screaming. 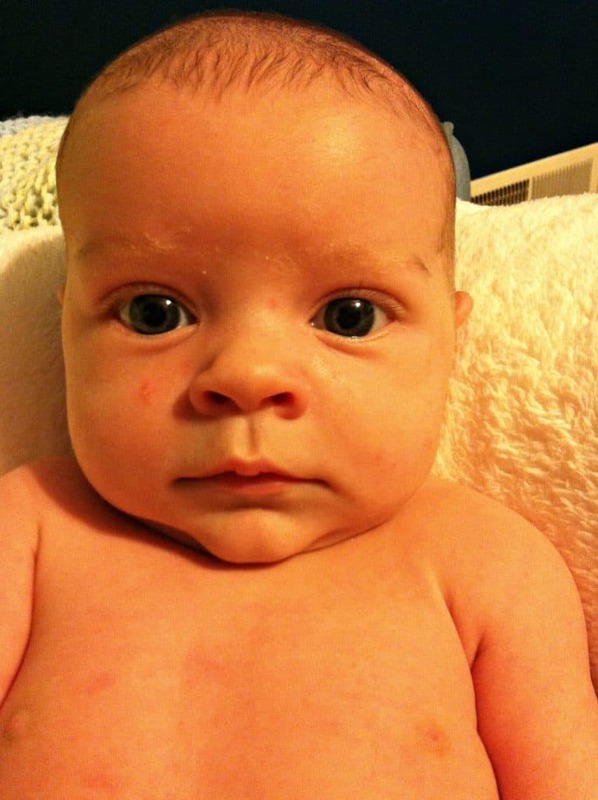 After using this consistently, we saw significant improvement in our son’s sleep! Then, he FINALLY slept through the night for the first time! I couldn’t believe it. My favorite thing about this baby sleep rub is that it’s all natural and super gentle. It also smells amazing and it only takes a tad at a time to use. And this company is incredible. I normally don’t show a lot of loyalty to companies. I’m strictly an “Ok, who has the best price this time?” kind of gal. But Wink Naturals has won me over. Every single time we have ordered from them, they’ve made me feel like they value my family and our sleep. They are genuine. We even get little notes and stickers from them! How cute are they? And as you can read here, I lovvve their teething gel too. I promise I’m not exaggerating. If our newest little boy isn’t sleeping well by 2 months, this sleep rub will be my FIRST go-to. 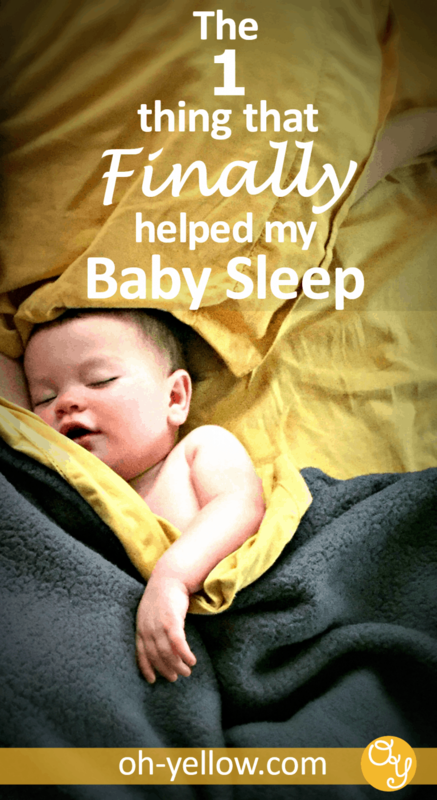 Baby Sleep: It doesn’t have to rule your life! If you are experiencing even a little version of what we went through, you gotta try this stuff. Go check it out for yourself. I recommend it to all of my new mama friends, especially those in the midst of sleep training. And it’s not even expensive! Especially with the discount for signing up for their auto-shipping, which just really makes life easier. Or you can use the code AshleyB15 and get 15% off. If you are ready to see some change in your little one’s sleep, try this stuff. You’ll love it. 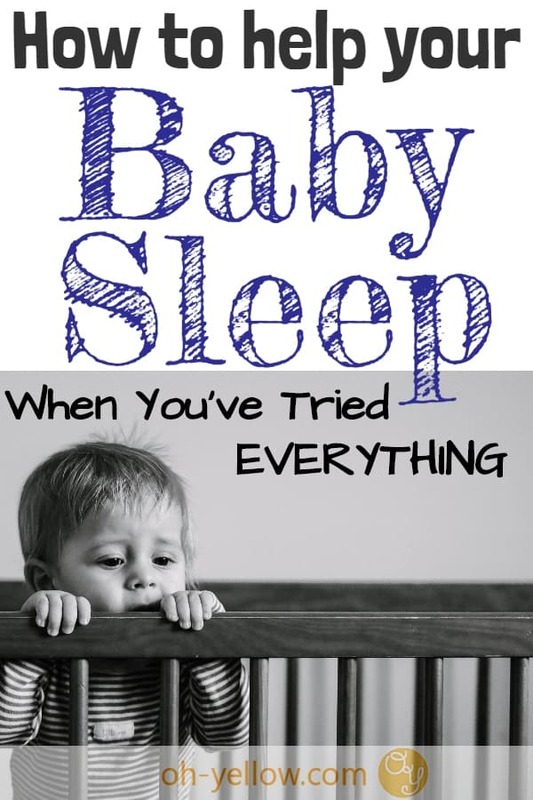 I sincerely hope that you can help get your baby to sleep very, very soon. Truly, I understand what you’re going through. I know that just having someone understand won’t fix things…but I hope it helps a little. You’re not alone. Things will get better. You can do this. You’re a good mama, Mama. 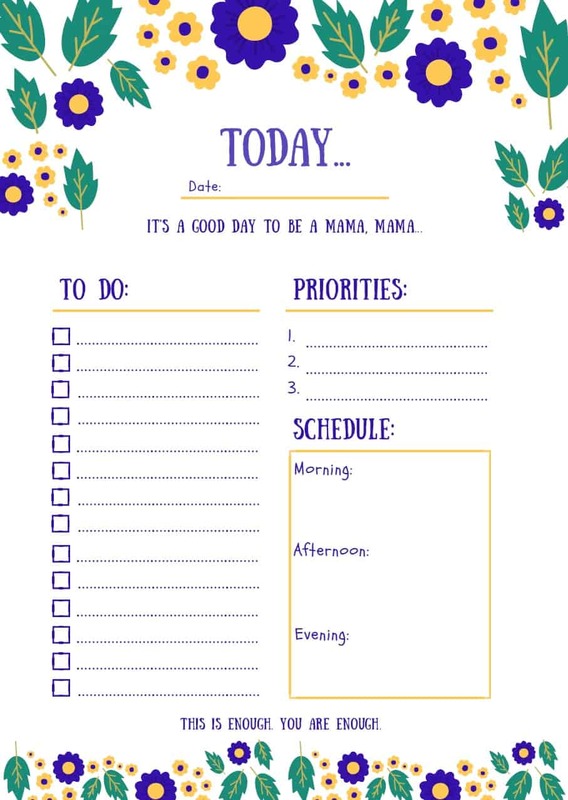 For more tips on life as a new mom, follow me on Pinterest. Thanks again for this awesome post Ashley! That sounds awesome! I’m so glad it worked so well for you! 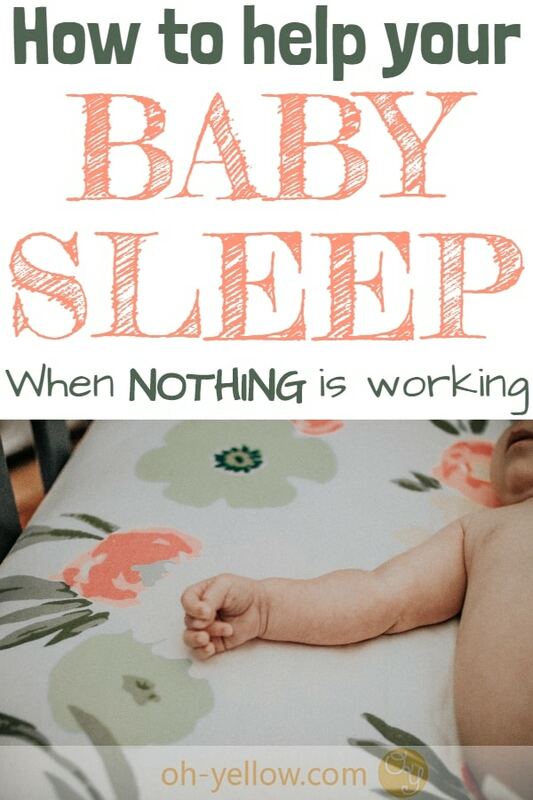 Sleep deprivation is serious business…We new mamas need all the miracles we can get! My son was the worst sleeper in the history of babies! I needed to rock him to sleep and feed him at night a few times. We co-sleep for 9 months. I was googling the internet and I saw a lot of people talking good things about the HWL method from ebook “How to teach a baby to fall asleep alone” by Susan Urban ( www.parental-love.com ). I was tired and didn’t know what to do so I decided to try it. After a very short time, it was 2 or 3 days he started to fall asleep on his own in his crib without any rocking or cuddling. I was able to put him into his crib and leave – how awesome is that 🙂 We also got rid of night feedings. Every parent should read this ebook. Only a dozen or so pages and such great results! It’s sooo hard when they don’t sleep! I’m so glad you found something that worked for you! Yay for sleeping! Oh thanks so much for sharing your experience with ‘how to teach a baby to fall asleep alone’ guide! I’ve got it, tried it and it has worked really really well! 4 days in our case 🙂 I don’t want to speak too soon but I’m sure we made it 🙂 thanks for this blog ! The guide has worked incredibly well! big thanks for sharing! I used this book, it is amazing! I wouldn’t think that sleep training may work that fast but it really did. Definitely will use this again with my 2nd (on her way!). I’ve heard about this rub! Luckily I used this guide of Susan first and I wasn’t needing it anymore. HWL sleeptraining worked so well I totally forgot about it. Great post, really sparked my interest! Also, great advice in the comments!! Kelly, thank you for reading! That sounds like an awesome blanket. I’ll have to look into it! Their sleep drops are equally amazing and you can use them on kids of any age! I give my 18 month old a quarter of a dropper! I’ve heard great things about their sleep drops! I’m so glad they work well for you little one! I’m curious if your husband was able to benefit from the adult product??? Hey Meghan! The sleep melts definitely did help his sleep. Unfortunately, his sleep issues were a little more severe than we thought, so we ended up trying some other methods later. But I asked him and he said he recommends trying them. I hope that helps! That’s great, Macy! 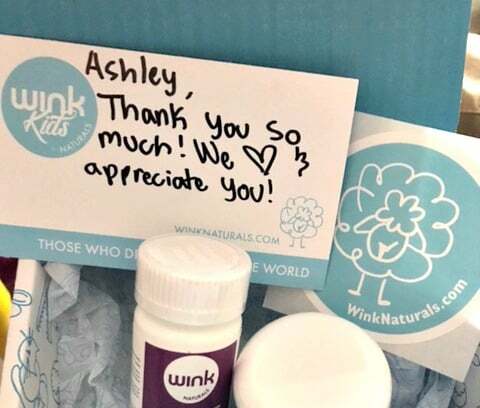 I LOVE Wink Naturals for baby sleep products! And their other baby products have been great for our family too. I’ll definitely let you know if we need to order something. Thanks, girl! Think Wink sounds amazing! I need to read more about it. Although I don’t really need it since sleep training. After using HWL method, my always-awaken little devil turned into sleeping beauty! Maybe you should try too? It’s a book by Susan Ubran. Thanks, Ellen! That sounds awesome and I’m so glad it worked for you!